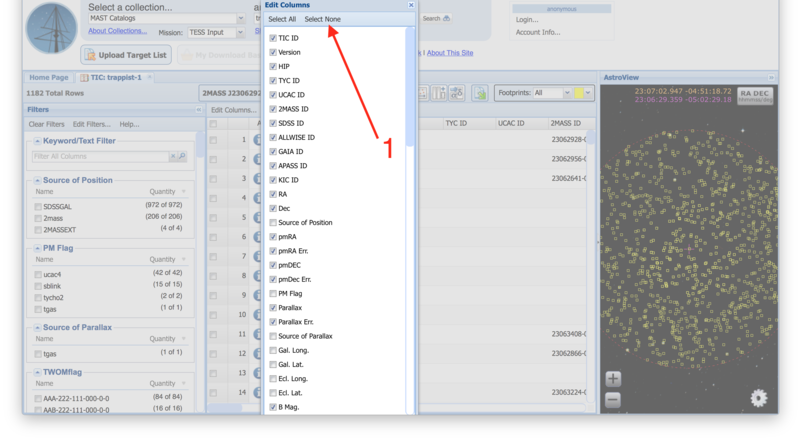 This tutorial will show you how to customize which columns are included when you export a table in the MAST Portal. Specifically, we will show how to select only those columns expected by the Goddard Mission Office when submiting target lists for the Guest Investigator Program. We will begin this tutorial having done a search centered on TRAPPIST-1 (Item #1). Our search results show up in the Search Results Grid (Item #2). Now we want to download a specific subset of the available columns. To do this, we will need to make use of the Edit Columns... option (Item #3). In the Edit Columns menu, use the Select None option (Item #1) to deselect all the columns. We will add the columns we want next. Select the columns you will want to download using the checkboxes in the list of available columns (Item #1). 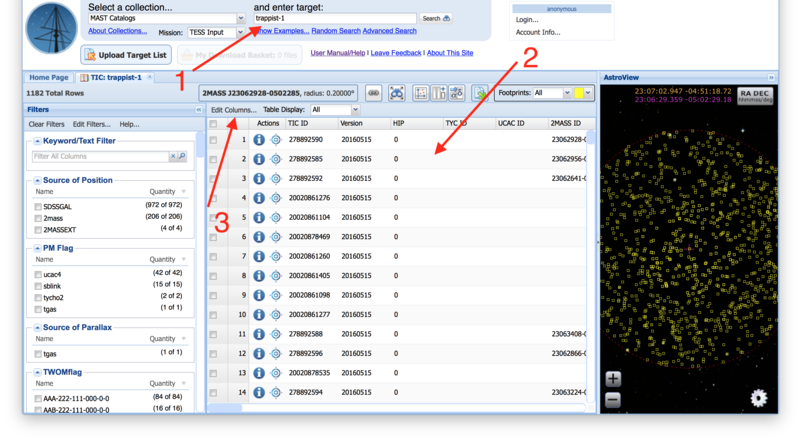 For this example, we will select the TIC ID, RA, Dec, pmRA, pmDEC, and TESS Mag. columns. 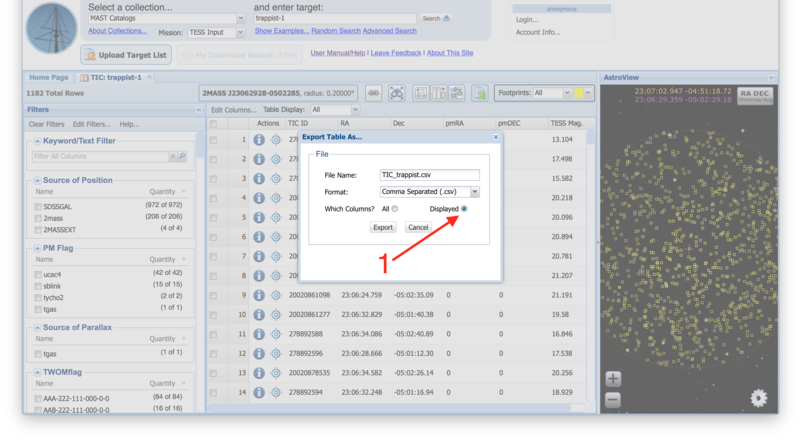 After you have selected the columns you want to download, close the Edit Columns menu using the 'X' button at the top-right of the menu. You will now see only the columns you selected in the Search Results Grid (Item #1). We are now ready to download our results using the Export button (Item #2). In the Export Table As... menu, you can specify an output file name and choose your output file format. Then, make sure the Displayed option in the Which Columns? section is selected (Item #1), and the table you download will contain only those columns that you specified.